Installing a Ceiling Fan? Hire the Professional Orange County Electrician Jason Wakefield! You are here: Home » blog » Installing a Ceiling Fan? Hire the Professional Orange County Electrician Jason Wakefield! 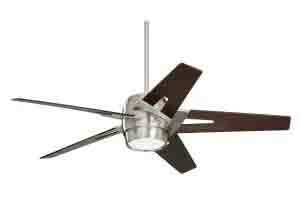 Posted in blog | Comments Off on Installing a Ceiling Fan? Hire the Professional Orange County Electrician Jason Wakefield! Ceiling fans are an inexpensive way to update your home’s decor. They are also energy efficient in that they maintain climatic stability during the winter and summer months circulating warm or cool air around your home. With the onset of ‘DIY-ers’ with the internet in arms length, projects like these and others have become hazardous for the average Joe. So, where’s the line drawn in the sand between a Do It Yourself project and hiring a professional? Well, for a superior installation, you should definitely make sure to hire Orange County ceiling fan installation expert Wakefield Electric. You would think installing a ceiling fan is a walk in the park, but its a lot harder than it looks. For starters, the instructions are tedious and a bit technical. Changing a light switch is not the same as installing or repairing your ceiling fan and messing around with electricity when you don’t know what you’re doing is serious business. Time and time again it leads to serious injuries. One mistake and you could burn your house down or even worse, be electrocuted. Your best bet is to hire a qualified, reputable, licensed and insured electrician. In some cases, its your only option because you would otherwise need special permits in order to get the work done. Not without mentioning the physical work that the installation requires. Some ceiling fans can weigh up to 50 pounds and that’s no job for a one man party. Make sure you hire a licensed electrician and ask for a copy. Run a check with your local labor department to make sure his/her license is active. Ask for references and try making contact with them. Ensure that all relevant permits are obtained. Electricians who aren’t licensed cannot secure permits. Make sure your electrician has liability insurance to cover any incidents that may occur. You’ll be glad you did!